We thought and continue to think that this EPA deferral is ludicrous. We fought back by joining with a group of concerned organizations to file a lawsuit, contesting the EPA’s judgment. This week, a federal court deemed that the EPA acted outside their purview when they granted that deferral and that the Clean Air Act should and does apply to all industrial facilities, including biomass plants. At Dogwood Alliance, we couldn’t agree more. 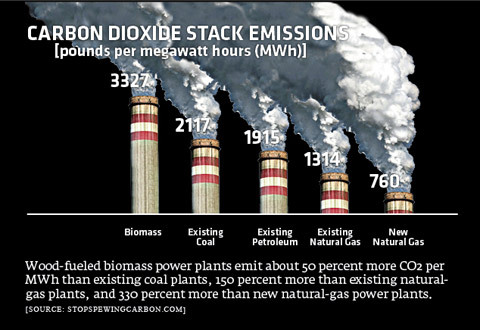 Now that federal carbon pollution limits apply to biomass, it will rapidly become apparent that this industry is not clean nor does it meet current standards for carbon emissions. Your countless letters to the EPA combined with our lawsuit coalition have won a victory for forests! It’s not over yet, though. We still must wait to see how the EPA will choose to regulate stateside biomass facilities, while Europe continues to ship our forests into their furnaces to meet their own renewable energy quotas. Please take a moment to act on the “Our Forests Aren’t Fuel” campaign, telling utility companies and wood pellet manufacturers not to burn our trees for electricity. The decision by a panel of the US Court of Appeals for the DC Circuit in Center for Biological Diversity v. EPA (D.C. Cir. No. 11-1101) found that EPA had improperly exempted all sources of biogenic CO2 from otherwise applicable permitting requirements. “The Court’s decision is particularly important for the Southeast. Now we have an opportunity for a more sensible, science-based policy, one that avoids clear-cutting the region’s wildlife-rich forests for energy while intensifying climate change impacts,” said Frank Rambo, head of the Clean Energy and Air Program for the Southern Environmental Law Center, which is representing Dogwood Alliance, Georgia ForestWatch, South Carolina Coastal Conservation League, and Wild Virginia in the case. Emissions from power plants and other industrial facilities that burn biomass can accelerate global warming and contribute to a host of respiratory and cardiac problems. Biomass-fueled power plants emit significantly more CO2 per kilowatt produced than power plants that burn fossil fuels—even coal—and it can take decades before that excess CO2 is “re-sequestered” by subsequent plant growth. 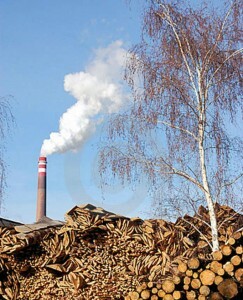 Under the Clean Air Act, facilities that are required to control their CO2 emissions must also control any “significant” emissions of other regulated pollutants, so the Court’s decision also means that communities near these plants will also benefit from reductions in pollution that causes asthma and other health problems. asthma and other health problems.